A bold mix of colors and fabrics highlights the unique appeal of 9 new quilts. 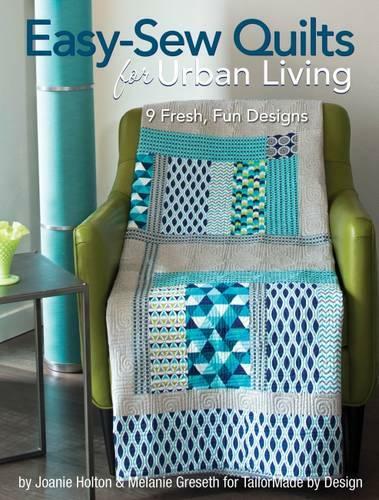 Made with millennials in mind and created by Melanie Greseth and Joanie Holton for TailorMade by Design, these quilts are contemporary with an urban flair. The fresh, fun, and modern designs are sure add a spark to any room while also giving twenty-somethings the comfort of home. Larger fabric pieces and straight stitching make them easy-to-sew and attainable to complete within a day. Filled with step-by-step instructions, helpful illustrations, complete direction for yardage, cutting, and assembly, and full design patterns and templates, you'll also discover piecing and applique techniques.